Abstract: This paper provides evidence on the migration of consumers from an “old” (copper-based) to a “new” (fiber-based) communications technology, taking pecifically into account the impact of regulatory interventions imposed on the old technology. The analysis has been applied to a sample of EU25 countries using panel data from 2003 to 2014 on the adoption (i.e. the demand of subscriptions by households and firms), and take-up rate of ultra-fast broadband technology (i.e. the ratio between fiber subscribers – “homes connected” – to population covered with fiber connections – “homes passed”). Results show that an increase in the regulated price for accessing the existing old network favours consumer migration to the new technology. However, the access price to old technology negatively affects the take-up rate of the new technology. This implies that access regulation also positively affects broadband coverage but more than demand adoption. Hence, in order to raise broadband take-up rate, other instruments are needed to support ultra-fast broadband subscriptions. Short bio: Carlo Cambini is Professor of Industrial Organization and Regulation at the Politecnico di Torino and economic member of the Scientific Committee of the Florence School of Regulation, Robert Schuman Centre for Advanced Studies, Florence. He has an extensive background in research focusing on industrial economics, regulatory economics and competition policy with a strong background in telecommunications, energy markets and transportation. He won the award as best Young Economist at the International meeting of the European Association of Researcher in Industrial Economics – EARIE (Lausanne, 2000). His work has been published in leading scientific journals such as the RAND Journal of Economics, Journal of Industrial Economics, Journal of Economics & Management Strategy, International Journal of Industrial Organization. He also presented research or delivered speeches in several international academic and institutional venues. 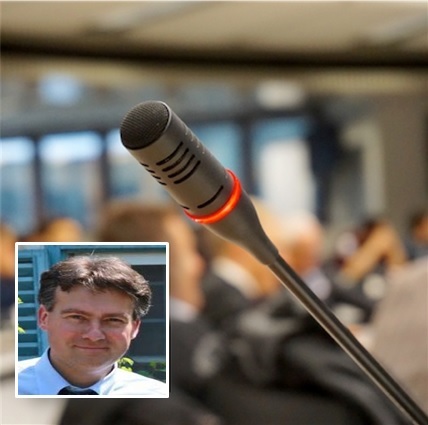 He has been invited as Keynote Speaker on regulation and competition issues in conferences and workshop organized by the Australian Competition and Consumer Commission (Brisbane, 2012), the New Zealand Commerce Commission (Wellington, 2013) and the Independent Regulators Group – IRG (Frauenfeld, 2014). He is currently the chief economist at the Italian Transport Authority.